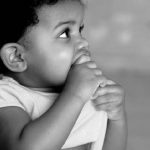 A report by Children’s HealthWatch and the Medical-Legal Partnership | Boston finds that subsidized housing plays a significant role in protecting young children from food insecurity and the health risks of being seriously underweight. This report confirms that increased support for subsidized housing must be a part of the strategy to end childhood hunger. A report commissioned by Feeding America and The ConAgra Foods Foundation, and written by Children’s HealthWatch, details the impacts that food insecurity in children has on the nation’s economic future. 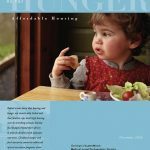 The report explores data from Children’s HealthWatch and other literature that demonstrates how food insecurity and hunger with other correlates of poverty can significantly alter the architecture of children’s brains, thus affecting their ability to reach their full potential as adults. 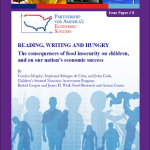 A report commissioned by the Partnership for America’s Economic Success and written by Children’s HealthWatch and the Food Research Action Center addresses the range of economic consequences associated with persistently high rates of household food insecurity in the United States. Drawing from various sources of data, the report identifies the short- and long-term economic costs of the harmful effects of food insecurity on very young children. Children’s HealthWatch and the Medical-Legal Partnership | Boston released a joint report entitled “Bringing Children in from the Cold: Solutions for Boston’s Hidden Homeless.” The report describes a population of “hidden homeless” families and new research showing that children in these families are more likely to be hungry and in poor health. Unrecorded by any homeless census, these families move frequently, often into overcrowded apartments, or double up with another family never knowing how long they can stay. The report estimates that there are over 14,800 hidden homeless families in Boston and that this number is likely to grow as the economy declines. The Real Cost of a Healthy Diet Project investigated the availability and affordability of healthy food in two cities. This project, based at the Boston Medical Center and Drexel University’s School of Public Health, examined whether low-income residents in Boston and Philadelphia could buy food for a healthy diet using the maximum food stamp benefit in their neighborhood food stores. 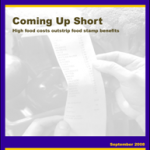 The study found that even families receiving the maximum food stamp benefit would have to spend an additional $2,520 in Boston and $3,165 in Philadelphia annually to purchase the Thrifty Food Plan. Food insecurity is the lack of access to enough food for an active and healthy lifestyle for all household members due to financial constraints. Families who are food insecure often limit the quality and quantity of food that is available to family members. As a result, families fill up on low-cost foods with little nutritional value. 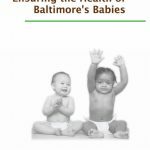 This report demonstrates the impact that food insecurity has on the health and development of children in the city of Baltimore. Furthermore, it examines the role of nutrition-related public assistance programs (i.e. : Food Stamps, WIC) in food insecure families. This report details the important effects that the Special Supplemental Nutrition Program for Women, Infants, and Children (WIC) has on very young children. The report highlights Children’s HealthWatch research that WIC not only improves children’s health but reduces their risk of developmental delays.